‘It was a tourist attraction and a national treasure to those dreaming of an independent Scotland. Now previously unpublished documents can reveal that when London put a bounty on landing the Loch Ness Monster in the 1930s, big game hunters were not the only ones sharpening their harpoons for the kill…. ‘Now previously unpublished documents can reveal that when London put a bounty on landing the Loch Ness Monster in the 1930s, big game hunters were not the only ones sharpening their harpoons for the kill. ‘In fact, the normally demure Natural History Museums of England and Scotland were also at each other’s throats… over who would get the carcass, while there concern among the newly re-emerging Scottish Nationalist movement that the monster’s dead body might be put on show in London. ‘The story has been uncovered by Sheffield based author David Clarke for his new book, Britain’s X-traordinary Files. ‘Clarke already knew about the Nessie Files in Edinburgh but was “astonished” to find another set at the Natural History Museum. “Many influential people, including MPs and famous naturalists like Sir Peter Scott, believed in the existence of Nessie and a lot of pressure were placed on the Scottish Office to give it special protection,” he says. 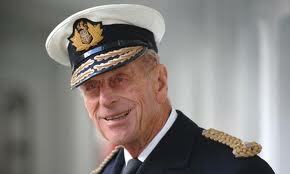 ‘Indeed when sightings began again after the war, the Duke of Edinburgh suggested calling in the Royal Navy to solve the mystery. ‘By 1934, both the Natural History in Museum in London and the Royal Scottish Museum in Edinburgh wanted Nessie, dead or alive. Yet while Scotland hoped that the bounty hunters could be kept at bay long enough to get new laws passed to protect the creature, London preferred it shot on sight. ‘The Scottish Office opened a file on the monster in December 1933 after being bombarded with inquiries from the Press. ‘Now “Nessie Files” have also been found at the Natural History Museum, and the recently revealed contents do no favours for Anglo Scottish relations. ‘According to more files found in Edinburgh, pressure was already growing for a special Act of Parliament to prevent Nessie being killed or captured. ‘The campaign was led by Inverness MP Murdoch MacDonald who assured the Secretary of State Sir Godfrey Collins the creature was no myth. ‘He demanded a bill be put before Parliament to protect the creature and asked Sir Godfrey what could be done to spare it from harm in the meantime. ‘The advice obtained by Sir Godfrey was not exactly encouraging to those who wanted to save the Monster from a watery grave, or at least stop England claiming the remains. ‘Officials advised him there was “no law for the protection of Monsters” and “great fish, including those of no known denomination, may be claimed by The Crown”. ‘In 1934, they wrote to the Secretary of State for Scotland, staking Edinburgh’s claim to the carcass. 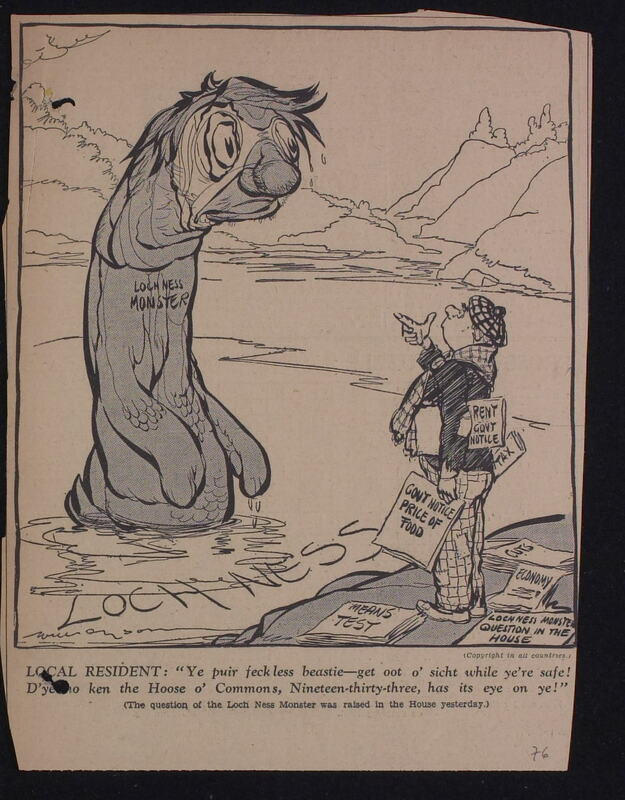 ‘By 1938, the threat to Nessie was becoming very real. The Chief Constable of Inverness William Fraser had stationed constables around the Loch, but the word from Sir Godfrey was the officers could do no more than enforce the existing laws of trespass and use of guns on private property. ‘Meanwhile, the big game hunter Peter Kent had announced he intended to hunt the monster down with a force of 22 men and a specially made harpoon gun. ‘A halt to such expeditions was brought by the Second World War, during which Loch Ness was patrolled by the Royal Navy. ‘A fresh wave of sightings would ensure a new lease of life for the story throughout the 1950s, peaking in 1960 when aeronautical engineer Tim Dinsdale shot the best known cinema footage of Nessie. By that point however, scientific interest from London had already cooled. ‘In October 1959, the Natural History Museum wrote to employees warning them the trustees “do not approve of the spending of official time or official leave on the so-called Loch Ness phenomena. The disapproval of the museum did not stop naturalists ‎going public in support of the creature’s existence however. Sir Peter Scott, son of Captain Scott of the Antarctic and an Olympic yachtsman and Vice President of the World Wildlife Fund declared there was not one but a whole family of plesiosaurs living in the Loch. By 1962, Natural History Museum director Sir Terence Morrison-Scott had opened his own file on the phenomena. Sir Terence was lukewarm on the whole idea and was concerned at what he called Tory MP David James’ “obsession with Nessie”. This entry was posted in Uncategorized and tagged Britain's X-traordinary Files, David Clarke, David James MP, Duke of Edinburgh, Edinburgh, Loch Ness Monster, Murdoch MacDonald MP, Prince Philip, Royal Scottish Museum, Scottish Nationalists, Secretary of State for Scotland, Sir Godfrey Collins, Sir Peter Scott, The National Archives of Scotland, The Natural History Museum, The Scottish Office, Tim Dinsdale. Bookmark the permalink. 1 Response to Nessie: shoot on sight! Here’s an excellent blog page by an equally excellent colleague of the unknown, Dr. David Clarke; senior lecturer in journalism at Sheffield Hallam University (UK). Please read “Nessie: shoot on sight!” as seen in ‘The Sunday Express,’ by Mark Branagan.